"1. Can i change the rim to the one I've attached here. 4. Do let me know if u need any clear view of the car in which angle. 5. I would like to add a person head (male), have attached a pic (1.bmp)." 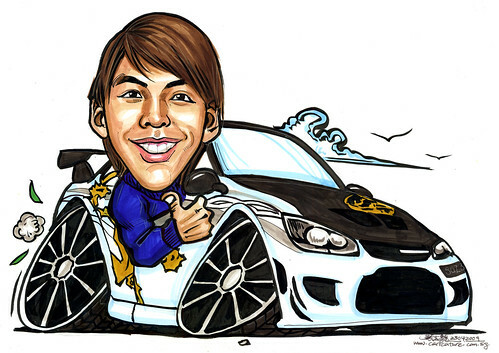 I like the proportion of this car caricature here, but the client felt that it doesn't really look like an Evo. Is it? But she said the face was very well done.